The quality of life within South Canterbury NZ is a considerable draw card for many people looking for a better balance between work, family life and relaxation. Easy access to the great outdoors, a wide range of year round recreational activities, a safe and family friendly community, freedom from city stresses and the opportunity to enjoy an interesting career without having to endure traffic jams and "the rat race"....it's all right here on your doorstep. Whether you’re moving around the corner or from across the globe, there are Business Partners who can help you as a family or business, nationally or internationally. Specialists in all aspects of moving services, customs and freight forwarding. District Council websites: Timaru District Council, Mackenzie District Council, Waimate District Council. 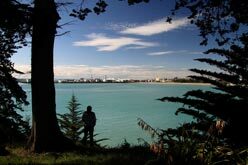 South Canterbury - Tell a Friend from South Canterbury NZ on Vimeo.